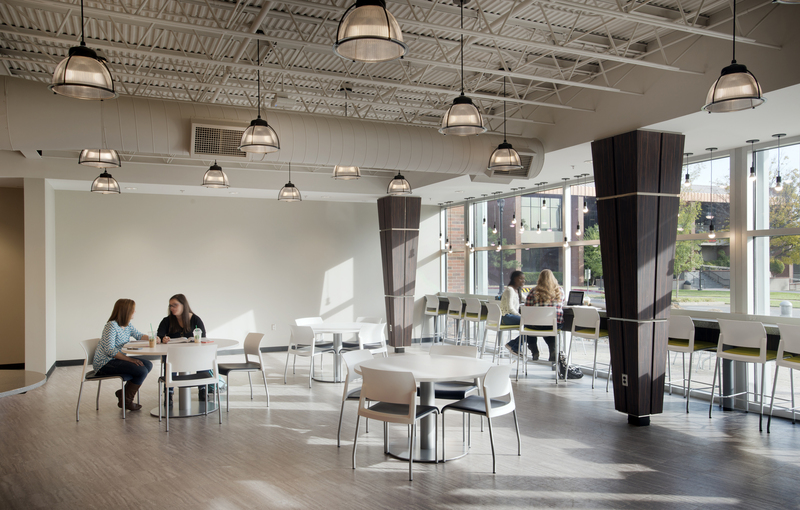 SNU had dreamed for years of rejuvenating its library, wanting instead to create a centralized hot spot on campus. 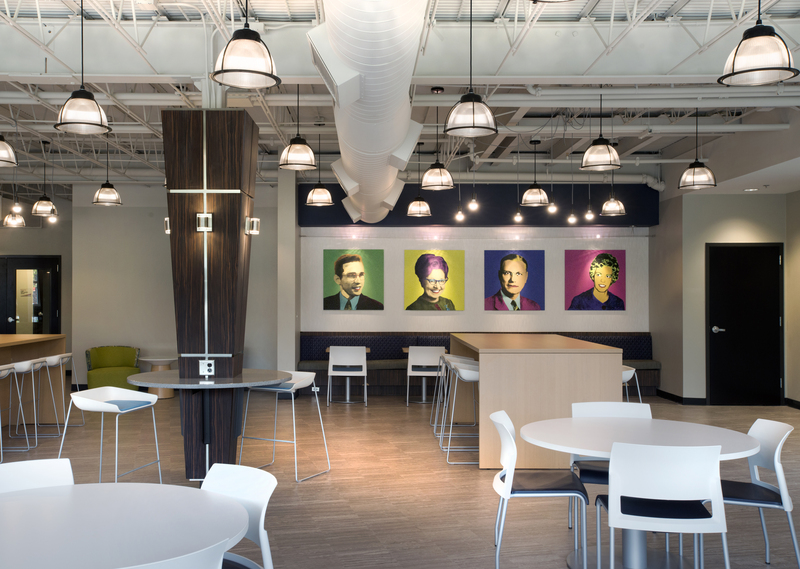 The renovation included a new entrance, new emergency staircase, free standing green screen walls, and a new coffee shop and commons areas for students. 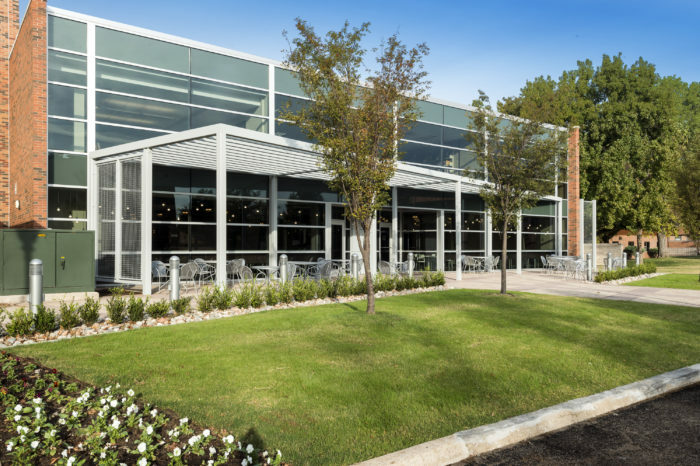 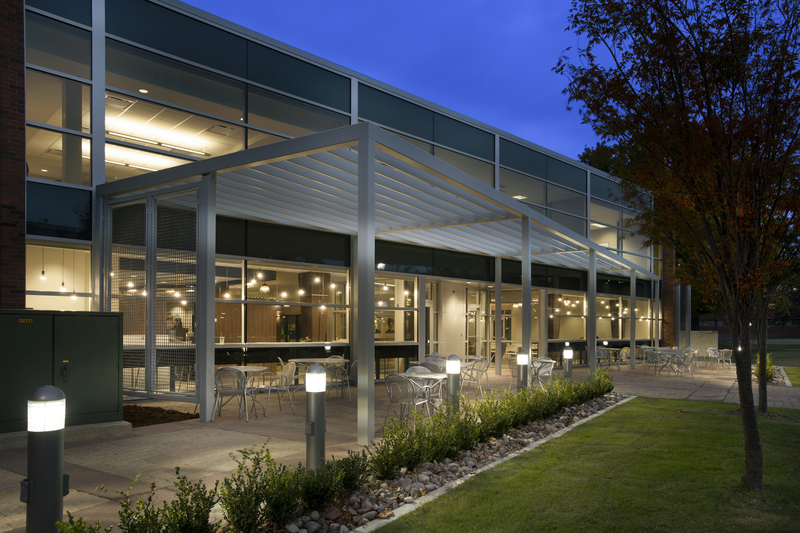 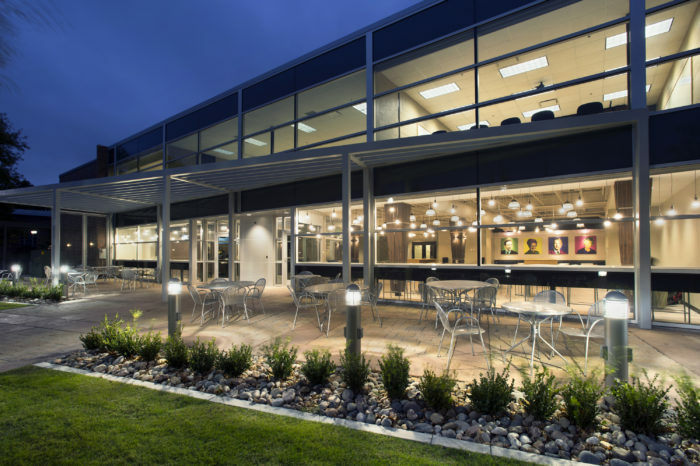 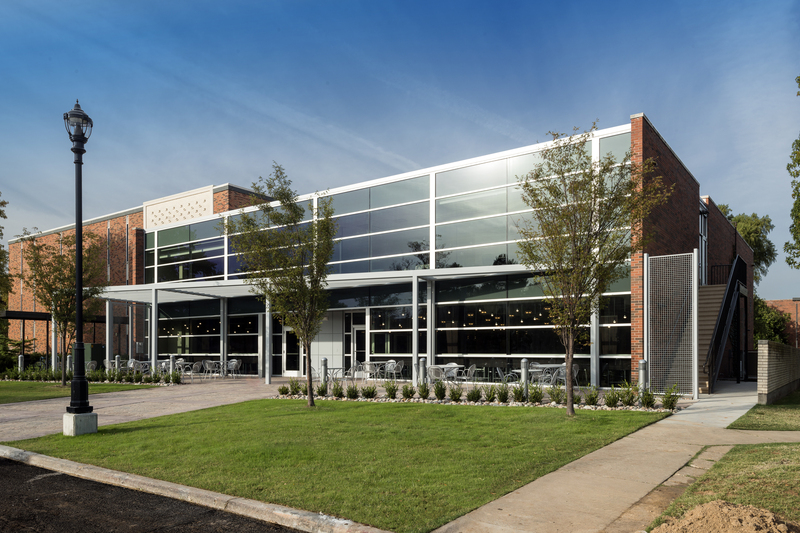 The renovation included tearing down an existing exterior wall, which covered the original glass facade, and replaced it with new storefront glazing, exterior exposed steel canopy structure and a plaza area.